NEW DAEWOO DOOSAN DB58TIS DIESEL ENGINES 6 Month/Unlimited Hour Warranty. 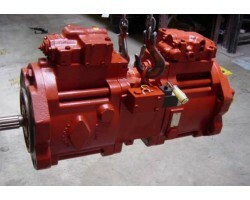 Comes with sta..
Remanufactured Doosan Daewoo DE08TIS Tier II Diesel Engines Available 6 Month/Unlimited.. Brand New Doosan DL06 Common Rail Diesel Engine HURRY WON'T LAST LONG! Immediate Availability, Re.. 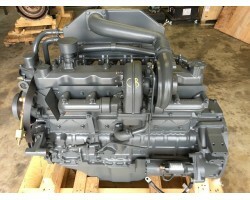 Brand New Doosan DL08 Common Rail Diesel Engine, HURRY WON'T LAST LONG! Immed.. Brand New Doosan DV11 V-6 Common Rail Diesel Engine, HURRY WON'T LAST LONG! 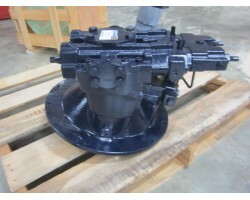 Immedi..
NEW DIRECT REPLACEMENT MAIN HYDRAULIC PUMP FOR TEREX TXC140LC-1 HYDRAULIC EXCAVATOR This hyd..
NEW DIRECT REPLACEMENT MAIN HYDRAULIC PUMP FOR TEREX TXC140LC-2 HYDRAULIC EXCAVATOR Thi..
NEW DIRECT REPLACEMENT MAIN HYDRAULIC PUMP FOR TEREX TXC175LC-1HYDRAULIC EXCAVATOR This hydraulic..
NEW DIRECT REPLACEMENT MAIN HYDRAULIC PUMP FOR TEREX TXC180LC-2​ HYDRAULIC EXCAVATOR Th..
NEW DIRECT REPLACEMENT MAIN HYDRAULIC PUMP FOR TEREX TXC225LC-1 HYDRAULIC EXCAVATOR This hyd..
NEW DIRECT REPLACEMENT MAIN HYDRAULIC PUMP FOR TEREX TXC225LC-2 ​ HYDRAULIC EXCAVATOR T..
NEW DIRECT REPLACEMENT MAIN HYDRAULIC PUMP FOR TEREX TXC255LC-1 HYDRAULIC EXCAVATOR This hydrauli..
NEW DIRECT REPLACEMENT MAIN HYDRAULIC PUMP FOR TEREX TXC255LC-2 HYDRAULIC EXCAVATOR This hyd..
NEW DIRECT REPLACEMENT MAIN HYDRAULIC PUMP FOR TEREX TXC300LC-1 HYDRAULIC EXCAVATOR This hyd..
NEW DIRECT REPLACEMENT MAIN HYDRAULIC PUMP FOR Terex TXC300LC-2 HYDRAULIC EXCAVATOR This hydrauli..